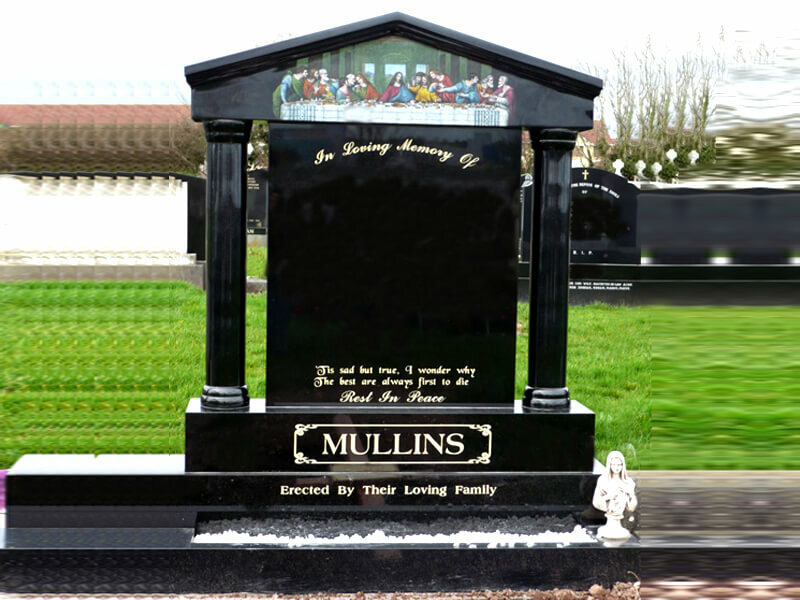 Costigan Memorials is a family owned business based in the town of Fermoy in Cork, With over 25 years of Experience Designing & Fabricating Bespoken Memorials & Headstones all over Munster (Clare, Cork, Kerry, Limerick, Tipperary, Waterford). At Costigan Memorials we pride ourselves on constantly keeping up to date with technological advances in stone crafting. We consider a Headstone to be a lasting symbol of remembrance. Accordingly we believe that the Headstone you select should be one that reflects your wishes and incorporates everything which is important to you. We have assisted families in choosing an appropriate Headstone that represents a fitting and lasting tribute to a loved one..
Costigan Memorials has the deepest understanding when it comes to choosing a fitting memorial or Headstone soon after a bereavement of a loved. We treat all our Clients with the Deepest Respect & Understanding and we ensure the best advice is given, we also comply with your wishes in an easy and efficient manner. Copyright © 2019 Costigan Memorials. All Rights Reserved.